After an exhausting and agonising delay, Australia has a new Government. 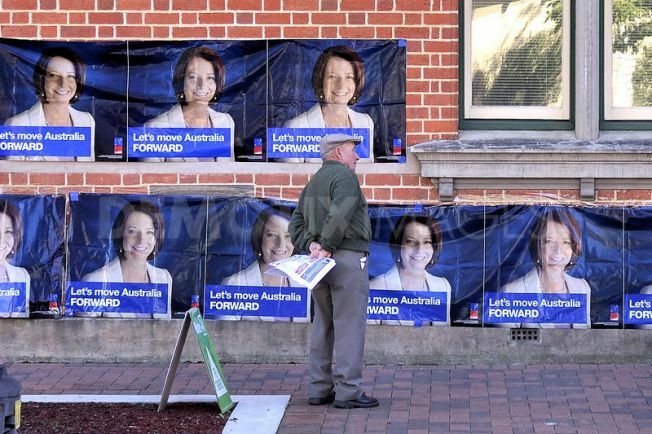 Julia Gillard has become the first woman to win an Australian Federal Election. The snail’s pace outcome led to a final day of high drama at times almost descending into farce. Never mind “horserace journalism”, this was part Melbourne Cup, part Survivor and part penalty shoot-out. He concluded by saying Abbott had only beaten Gillard on eight of his 20 points. Windsor was next up. After rambling for several minutes, he said he swung on climate change and the fear Tony Abbott would rush to the polls the moment the Coalition was in a winning position. Labor’s more ambitious broadband plan was the clincher. His decision put Labor one ahead with one to go. The last word belonged to Rob Oakeshott. He out-Windsored Windsor and picked his way through politically neutral language for 17 excruciating minutes to milk a long moment. There finally came a point where he could no longer avoid saying what was becoming increasingly obvious: Broadband was the killer for him too. The last of the people’s representatives had spoken, and Julia Gillard was confirmed as the leader of the government. In a grim campaign of attrition, the $43 billion NBN was one of the few imaginative offerings from either side. Tony Abbott ran a great campaign to get the Liberals so close to Government after being unelectable barely six months ago. Abbott’s campaign was based on personal virility while presenting a small face to the enemy. The weather vane, the people skills and the mad monk were all hidden away and he was relentlessly negative. The brawling boxer bruised his way through the entire 15 rounds and he only suffered a narrow defeat on points. Yet there remains a sense around him that suggests he will never become Prime Minister. Former Liberal insider Andrew Elder certainly thinks Abbott never believed himself good enough though Elder also unashamedly says his site is for “Abbott Sceptics”. Labour powerbrokers weren’t so sceptical. They were so spooked Abbott would win they robbed themselves of one of the key advantage of incumbency barely weeks before the election: leadership stability. Though Rudd’s poll numbers were sliding rapidly from the heady days of 2008, his departure was a major shock. Common wisdom was that Rudd would step aside between the second and third term of office to allow his obviously talented deputy a chance shine at the top. But the combination of Rudd’s pre-poll nerves with Abbott disciplined attacks imperilled the second term to the point where common wisdom was ignored. Rudd fell on his own sword rather than test the numbers. He was influenced by those who can quickly take the temperature of the party (unfairly maligned as “faceless men”). Julia Gillard was appointed Prime Minister with blood on her hands. A poor campaign and damaging leaks saw Labor’s lead evaporate by polling day. But in the poll that counted it did not dip below 50:50. The electorate did not quite want her removed from office. With the sorry saga of her installation over, Gillard quickly changed. While Abbott assumed the pose of command, Gillard simply commanded. The contrast can’t have escaped the attention of Oakeshott, Windsor and Katter who had easy access to both leaders. The hung parliament is serendipitous to them and they will use their new bargaining power with all their might. The sword is double-edged. Oakeshott and Windsor went again the natural conservatism of their rural electorates to support her – a decision that could cost them both at the next election. Katter was cuter, avoiding the wrath of his own voters while slyly signalling he would abstain on supply making the real vote 76-73. A margin of 3 may come in useful in the event Andrew Wilkie goes rogue. Abbott meanwhile is left high and dry. He relies on favourable by-elections (Kevin Rudd perhaps?) to get him another early tilt at the crown. This Government is going to chew every piece of legislation carefully so that there is no other excuse for an early engagement. The Greens get the balance of power in the Senate next July and their new Coalition binds them to fealty. They have no desire for an early election. They hope Labor will not squander the benefit of incumbency a second time round. There is no other Prime Minister in waiting, unlike in the Liberals. If this Government rules for two or three years with regular 52:48 polls like they got for the last two or three, they will be returned again in 2012 or 2013. They will have proven a small majority is workable. International aid agencies are rushing urgent supplies to Cameroon as the country deals with its worst outbreak of cholera in six years. The outbreak started in May in the country’s Far North region and spread to the neighbouring North region causing over 2,199 confirmed cases of cholera resulting in 163 deaths. UNICEF and other agencies are rapidly distributing supplies for medical workers and water treatment kits for families, along with medication. The waterborne infection is highly contagious but preventable with clean water and sanitation. Over five million people live in the Far North and North regions of Cameroon and the regions share borders with Nigeria, Chad and the Central African Republic. Parts of the Far North region have suffered extensive flooding over the past month, leaving many communities increasingly vulnerable to disease. UNICEF said it was concerned any further spread of the outbreak could have serious consequences for women and children across the sub-region. Al Jazeera has reported outbreaks in Chad and Nigeria with 400 deaths in these two countries in the past few months.The latest outbreak was triggered by unusually heavy rains which caused severe flooding and landslides. The landslides submerged houses and made traditional pit toilets unusable. 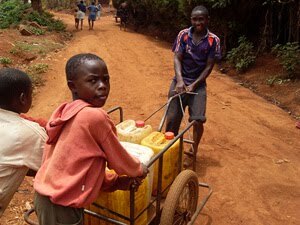 Safe drinking water is rare in the Far North region due to drought and the poor are turning to untreated water from hand-dug wells, increasing vulnerability to cholera and other water-linked diseases. Authorities have begun disinfecting wells and other water points and are asking communities to practice proper hygiene. “We are urging people to be careful with the food and water they consume, and with how they handle the remains of people who died of cholera,” one official said. Superstition is hampering relief efforts. Some communities have stopped attributing the increasing number of deaths to cholera. A volunteer leading said the hardest thing was stopping people from being sceptical. “For example, they believe that if you’re not a sorcerer, cholera can’t get you, and so it only affects sorcerers,” he said. Another volunteer said local religious leaders told everyone to stay away from the fields because of the risk of getting cholera. The volunteers’ message to people is simple: stop defecating in the open, use latrines, wash hands with soap and boil water before use. According to the World Health Organisation, cholera is an acute diarrhoeal disease that can kill within hours if left untreated. The infection is caused by ingestion of food or water contaminated with the bacterium vibrio cholerae. The short incubation period of between two hours to five days can make an outbreak explosive in impact. There are up to five million cases every year with 120,000 fatalities. Control measures rely on prevention, preparedness and response. Eighty percent of cases can be successfully treated with oral rehydration salts. But oral rehydration treatments remain scarce in the world’s poorest countries. Some have blamed Big Pharma for making drug treatments too expensive but writing in The Wall Street Journal Alec Van Gelder of the International Policy Network puts the blame on lack of investment in domestic health care infrastructure. He said leaders in July’s AU summit were confronted with WHO figures showing only six member countries have met their 2001 pledge to invest 15 percent of their national output on health care. “The real global public health problem is that for every aid dollar African governments receive for health care they divert up to $1.14 of their own resources to other areas,” Van Gelder said. Last week was the 35th anniversary of the death of the most important Irishman of the 20th century, Bono and James Joyce notwithstanding. Eamon de Valera, the American born son of an Irish peasant woman and a Spanish artist, is often reviled today in the revisionism surrounding Michael Collins yet de Valera’s life is nothing less than the story of Ireland for nearly 100 years. “Dev” dominated Irish politics for 60 years. He was influential on both sides of the border, a thorn in the British side for most of that time and also had a massive impact on American affairs between 1918 and 1945. Ireland was such a pain to White House administrations, the country was eventually punished for war neutrality by being left out of the Marshall Plan that revitalised allies and enemies alike. By the late 1950s de Valera’s economy naivete had landed the Irish economy in deep trouble. By then he was an almost totally blind caricature of the remote and exotic president of the Irish Republic he helped create and shape in his deeply religious image. Yet he clung onto power until 1959 when aged 76 he was forcibly retired upstairs as president in “the Park”. There in a supposed ceremonial role, he wielded enormous influence for 14 more years in two terms. He died in 1975 aged 92. For one day short of 65 years he was married to Sinead de Valera who predeceased him by three months. Sinead brought up a large family by herself and held enormous power over her husband. They met through mutual love of the Irish language and Gaelic was their lingua franca. De Valera’s surviving letters to Sinead in English sent from overseas show a passion he kept mostly hidden. Eamon de Valera owed his astonishing longevity of power to a combination of luck, charm, ruthlessness and bastardry. His Irish mother Cate Coll sent her Brooklyn-born boy to Ireland after his lothario father, Spanish artist Vivion de Valero, left them. Cate’s son grew up in Bruree, County Limerick, steeped in Irish culture fused with a British-style education. De Valera became Irish to his bootstraps, changing his birthname George to the Irish Eamon but he used his American birthplace to great effect. Gifted in mathematics and strikingly tall, he won a scholarship to one of Ireland’s premier schools, Blackrock College. His leadership qualities stood out and he was a natural captain of the rugby team. He also forged lifelong alliances with important Catholic prelates who later ruled the country with their croziers as he would with his political cunning. An avid student of Machiavelli and deeply Catholic, he grappled with changing Irish political conditions. Queen Victoria was dead and although the Irish respected the monarchy there was a desire for change. As the home rule movement grew in the south, a Loyalist force in the north grew in opposition. The Loyalists had the support of the British Army top brass and the Conservative Party and grew in belligerence and strength as the first decade of the 20th century ended. “Ulster will fight and Ulster will be right,” was the battlecry. The cries reached fever-pitch when Westminster declared home rule for Ireland in 1912. As the north armed with impunity, the South reacted to defend a Dublin Parliament. De Valera joined the Irish Volunteers in 1913. The First World War broke out a year later putting arguments on hold. The Irish on both sides signed up in large numbers to fight for the Empire in Flanders and Gallipoli. De Valera did not put on a uniform. With the Volunteers falling under the influence of the Irish Republican Brotherhood secret society, a split began and de Valera joined the side pushing for aggression. De Valera rose quickly through the ranks and though suspicious of the IRB, he approved of an uprising in Easter 1916. De Valera was not one of the seven signatories to the Proclamation of Independence but was a key military leader and one of the last to surrender when the Easter Rising failed. Because he was among the later captives, he was held in a different jail to where the other leaders were summarily executed. The Irish Independent newspaper bayed for blood and De Valera was sure he was next. By the time of his court martial, the revulsion at 15 executions in nine days swung public opinion against the policy. His American roots and humble “school-master” occupation saved him and he was jailed in Dublin and then in Britain. At Dartmoor he was greeted by the Irish as their “Chief” and most senior rebel to survive the Rising. His rival, organisational supremo Michael Collins, was determined not to repeat the open warfare tactics of 1916. De Valera wanted political status and within a year the British Government released all the Irish prisoners. They went home and organised politically as Sinn Fein. With the First World War going badly and Britain considering conscription in Ireland, Sinn Fein won most Irish seats in the 1918 Westminster election. De Valera was elected member for Clare. The British became convinced Sinn Fein were in league with Germany and swooped against its leaders in May 1918. Collins’ spy network had advance warning but most leaders including De Valera ignored it and were arrested. De Valera was sent to Lincoln Prison while Collins began asymmetric war against Britain. Collins’ biggest coup was springing de Valera from Lincoln Prison. He spirited De Valera back to Ireland where the pair argued about tactics. Dev’s primary value was as a propaganda weapon and he was smuggled to America where the “First Minister” spent 18 months on a fundraising campaign. Irish Americans treated him as a hero and his title was inflated to President of Ireland. But he blundered in US politics. He supported the isolationists because President Wilson would not recognise Ireland as a participant in the Versailles Peace Conference. He split Irish-Americans by not realising they were Americans first and Irish second. Yet he raised large amounts of money and valuable publicity as the war raged in Ireland. When de Valera came home both sides were wearied into stalemate. Protestants used the chaos of the south to form their own northern administration. Partition of Ireland was first mooted in 1912 by Liberal Unionist T.G.R. Agar-Robartes but its time had now come. In 1921 a new parliament in Belfast was given the blessing of George V.
In his speech the King appealed for “forbearance and conciliation” in the South. De Valera went to London to meet Prime Minister Lloyd George. They discussed a peace treaty possible only because de Valera gave defacto approval to partition. But he knew the Irish would have difficulty accepting this position. He deliberately stayed at home for the treaty discussions which Collins led with full plenipotentiary powers. Collins knew the compromise on offer. In December 1921 he signed a Treaty with Lloyd George that confirmed the existence of Northern Ireland and a new parliament in Dublin with wide powers but an oath of allegiance to the crown. Collins called it the “freedom to achieve freedom”. At the signing ceremony British Minister Lord Birkenhead told Collins he (Birkenhead) may have signed his political death warrant. “I may have signed my actual one,” Collins replied prophetically. With Collins and his network exposed, a return to war against Britain would have been doomed to failure. De Valera was livid with Collins for signing the Treaty to create the Irish Free State. Arguments raged over the Oath while the more substantive matter of partition was ignored. The IRA rejected the treaty while the Church, the newspapers and most of the population wanted peace. De Valera refused to see it as a stepping stone and lent his considerable weight to those against it. When the Treaty was narrowly carried in the Dail, de Valera resigned as President and offered himself as the leader of the “true Republic”. Within months Dublin was ablaze again in civil war. The war was hopeless with Republican idealists no match for British artillery in the hands of Collins’ new army. Collins was assassinated in County Cork by a sniper’s bullet while De Valera hid near by. De Valera never admitted he was wrong but when he indicated the struggle was unwinnable it quickly ended. Another year in jail made him realise he could not win by revolutionary means. He renounced the IRA and Sinn Fein and set up Fianna Fail “the soldiers of destiny”. He took the Oath in 1927 and entered parliament with his new party. Fianna Fail established itself quickly as a force. Remembering the lesson of the Irish Independent, de Valera went to the States again on another fundraising mission. On his return he created a new newspaper, the Irish Press. With the power of his name and his new propaganda machine, he was able to form government in 1932. Bitter enemies peacefully handed over power though fascist movements like the Blue Shirts were less accommodating. De Valera ruthlessly dealt with them and later destroyed the IRA. He used Collins’ stepping stone approach he hated so much in 1921 to remove the Crown from Irish affairs. 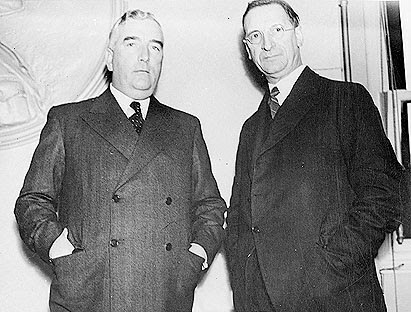 At the peak of his powers, De Valera was Prime Minister (Taoiseach) and Foreign Minister, ably representing the “Irish Free State” at League of Nation conferences. De Valera used the constitutional crisis in England over the abdication of Edward VIII to give Ireland a new constitution in 1937. It stamped Ireland as a Catholic nation and formally claimed the North as part of Ireland. But like China over Taiwan, this was a fight Dev never wanted to win, he just wanted to keep it going. In the 1930s he declared an Economic War with Britain refusing to pay land annuities to buy out absentee landlords. It lasted six years crippling the Irish economy. In 1938 he agreed with Chamberlain (whom he admired) to end the war and resume payments. Ireland got back three ports it had given the British Navy in the Treaty. Churchill (who sparred with Collins in 1921) condemned the deal which he knew could keep Ireland out of the war with Nazi Germany. When war did arrive, it wasn’t just the British that were exasperated, US President Roosevelt was equally unhappy. He sent Eleanor Roosevelt’s uncle David Gray as American Minister in Ireland for the duration of the war. Gray made no bones about openly supporting Britain. De Valera hated him and wanted him replaced. Roosevelt refused. De Valera never called it a war. It was an “Emergency” and his young state was on life support. He knew Ireland would have no chance against Nazi bombardment and watched as Belfast suffered in the Blitz. De Valera sent the Dublin fire brigade to help put out the fires but never complained to Germany about bombing “Irish soil”. De Valera refused to bend to Churchill and Gray, and Ireland became less strategically important as the war developed. The US left Ireland to muddle economically through the post-war years. De Valera was an economic illiterate who promoted hardship as necessary to wellbeing. By the 1960s he was yesterday’s man despite enormous status. Managerial types like Sean Lemass and T.K. Whitaker took Ireland in a new direction that eventually led to the Celtic Tiger in 1990s. The success of the south steered the north in the path of peace. Today conditions in the Republic of Ireland are not dissimilar to what de Valera faced as Taoiseach: rising unemployment, a stagnant economy and mass immigration. But expectations have changed drastically. The Civil War generation are now dead. The Irish Press is gone and the Catholic Constitution is discredited. Fianna Fail is in decline but clings to power 85 years after Dev founded them. Partition is entrenched with no prospect of change. Yet though littered with pettiness, failure and missed opportunities, Eamon de Valera’s legacy is immense. Almost single-handedly he developed a positive sense of being Irish to the world that millions in Ireland and the diaspora now take for granted. For that and his sheer longevity he remains an unrivalled giant of Irish politics. One of the ladies in the office was at the photocopier near my desk today. “Have they announced the winner yet?” she asked with a slight sense of weariness. She was referring to Australia’s 2010 Federal Election now two weeks old and still without a verdict. “Not yet,” I replied. “But I think Labor will hold on with the help of Windsor and Oakeshott.” Thinking back tonight, I stand by it but I may be underestimating the importance of Bob Katter. Katter along with Tony Windsor and Rob Oakeshott are the three candidates yet to declare their hand. With the official fall of Brisbane to the LNP this week, Labor and the Coalition finished equal on 72 seats. Nationals’ Tony Crook (who took advantage of new boundaries to cause a surprise defeat to Wilson Tuckey) may not take the whip for all matters but would not support a vote of confidence in Julia Gillard. Labor this week signed agreements with the Greens and Andrew Wilkie to make it 74-73 in their favour. That means Abbott will need the support of all three bush independents to form a government while Labor needs just two. The three are all former Nationals in strong conservative seats but they hate their former party with varying degrees of loathing. The trio are living up to the independent tag and taking their time about deciding. They are well aware of their sudden new power and are determined to use it to their own and their constituents’ best interest. With fellow cross-benchers deciding their position this week and constituents like the lady in my office tired of indecision, the bush trio have promised to make their stance known by early next week. What I find odd is why the Coalition has done so little wooing, and have instead mostly antagonised them. I am not sure if this is hubris that they assumed they would vote for them or if they see winning this deadlocked election as a poisonous chalice best avoided. If it is the latter they may be taking a huge risk. An early election is possible given the instability of a Gillard-Greens-Independents Government once a Speaker and by-elections are thrown into the mix. But there is no guarantee the Coalition would do better next time round, and the oxygen of power remains with Labor. That the Coalition budget costings were exposed as a dud should come as no surprise after the way the initial delivery news was handled. Their errors and subsequent paranoia over Treasury estimates has left them looking immature and unfit for Government, a fact not lost on the Independents. Oakeshott and Windsor would be aware Labor’s $43b NBN plan also has costing problems. What neither would deny is the tangible benefit their regional electorates would get from high-speed broadband. They want the improvements in telehealth and long distance education as well as the tearing down of isolation barriers. The pair have publicly expressed enough sentiment for me to believe they will not oppose Julia Gillard’s attempt to form the next Government. At 76-73 it would not matter in theory which way Katter’s card then falls. However, the three have shown signs of acting as a group so he remains an extremely significant player. It is possible he could sway them back towards an Abbott Government. But it is also possible the “gun-toting climate sceptic and agrarian socialist” could abstain or even vote against a Gillard no confidence motion. At 77-73 Labor would have a small but workable majority. They will be actively looking at Katter’s 20 point plan and deciding which 14 or 15 they can realistically support. Labor won’t budge on a carbon tax or mining tax, but there are other good ideas in Katter’s plan a clever negotiator like Gillard could embrace. It won’t be easy to satisfy the iconoclast from Far North Queensland but not impossible either. In sporting terms, the election was a draw and there will be a replay. However there is no guarantee that will happen soon. People decided the current government were not good enough to rule in their own right yet we were not ready to turf them out either. Tony Abbott has done nothing since the election to deserves the chance to rule and his party don’t appear to have any vision other than they are not Labor. The independents should, and probably will, support a minority Gillard Government. It will be in their own interests to make sure it is successful. Blair’s desperation for a sign of “instinct” is as telling a factor about his make-up as is his gratitude to “God” for the way it eventually passed without incident. Blair is proof of John Gray’s suggestion in Black Mass modern politics is merely a chapter in the history of religion. While Blair recoiled with desperate horror against the possibility of making a preemptive strike against someone who may or may not be a threat, such decisions grew a lot easier for him in the years that followed. 9/11 was a watershed moment for Blair, as much as it was for the Bush administration as it marked a time when Gray said foreign policy was shaped by Utopian thinking. Blair always had a strong dash of neo-liberalism to go with his strong powers of faith. He came to the Labour leadership in 1994 when the party had been out of office for 15 years. He inherited Margaret Thatcher’s belief in the power of the markets. John Gray said Thatcher’s aim of destroying socialism in Britain assisted Blair in his political rise. By dismantling the Labour settlement that had served Britain since the end of World War II, she removed the chief reason for the existence of the Conservative Party. Without an enemy, it lacked identity. 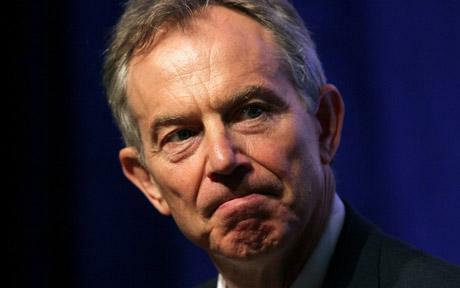 Blair’s “New Labour” easily stepped into its shoes and deprived them of relevance for a decade. As the 1997 British election proved, strategy and organisation were more important than policy. Blair carried on Thatcher’s privatisation agenda moving it into the justice system and prison service while also making the NHS and schools subject to market forces. In his early international dealings he advocated a “doctrine of international community” which reflected the “end of history” thesis that infected much 1990s intellectual thought. It was destroyed with the towers on 11 September 2001 and exposed Blair’s naked belief in the power of good intentions to triumph regardless of flaw in the execution. Like Bush, Blair saw his destiny as the unfolding of providential design. The neocons in the White House made it abundantly clear to him on a Camp David visit in April 2002 the Afghan War would be a sideshow and Iraq was the real target. The Foreign Office knew the case for war was a thin one; Saddam was little threat and had no weapons to speak of. Yet by the time of the 23 July Downing Street Memo, he accepted the advice of MI6 war was inevitable and “intelligence and facts were being fixed around the policy”. He cautioned Bush to seek UN support but in January 2003 Bush told him plainly the US was invading with or without a resolution. Bush offered Blair the opportunity to pull out given the strong anti-war rhetoric in the UK but Blair pledged his support. Blair actively covered up intelligence that contradicted the official line on Iraq. The March 2002 Iraq Options paper produced by the Cabinet Office and the February 2003 Defence Intelligence Staff document both said there was no justification for invasion. Blair shifted the case to arguments about WMD where as Grey said “intelligence could be more easily manipulated”. Blair’s militant faith in human progress brought him eventually to the political abyss. His was a enlightenment view of unending human progress. In ten years as Prime Minister his overriding concern was the shaping of public opinion to support his beliefs and his lies became an integral feature of government function. Despite winning three elections, he was remembered only as a lackey of the Bush administration. Both practiced missionary politics and saw their goal as the salvation of humankind. Bush could do faith better than Blair in a country with a lot more millenarian tendencies than the UK. An American Lt Col in Fallujah could get away with saying the war was “battle against Satan”; a British General in Basrah could not. But both Britain and the US have now left the country. Iraq turned out not to be a Utopian project after all.